William Steinitz was the very first world champion of chess from 1886 to 1894. He was an Austrian-American chess player. Steinitz lost his title to Emanuel Lasker in 1894 and also lost a rematch in 1897. Statistical rating systems give Steinitz a rather low ranking among world champions, mainly because he took several long breaks from competitive play. However, an analysis based on one of these rating systems shows that he was one of the most dominant players in the history of the game. Although Steinitz became "world number one" by winning in the all-out attacking style that was common in the 1860s, he unveiled in 1873 a new positional style of play and demonstrated that it was superior to the previous style. His new style was controversial and some even branded it as "cowardly", but many of Steinitz's games showed that it could also set up attacks as ferocious as those of the old school. Steinitz was also a prolific writer on chess, and defended his new ideas vigorously. The debate was so bitter and sometimes abusive that it became known as the "Ink War". By the early 1890s, Steinitz' approach was widely accepted and the next generation of top players acknowledged their debt to him, most notably his successor as world champion, Emanuel Lasker. Traditional accounts of Steinitz' character depict him as ill-tempered and aggressive; but more recent research shows that he had long and friendly relationships with some players and chess organizations. Most notably from 1888 to 1889 he co-operated with the American Chess Congress in a project to define rules for the future conduct of contests for the world championship title that he held. Steinitz was unskilled at managing money and lived in poverty all his life. Here is one of Steinitz' games. This is one of the most brilliant fast attacks on f7 ever. 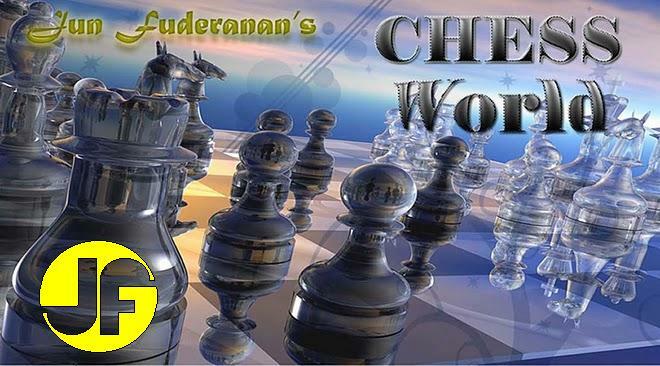 Steinitz sacrifices a queen for a forced checkmate in 7 moves! The final checkmate is done by a pawn. The Evans Gambit, the purpose of which is to gain a tempo while aiming for control of d4. Black keeps the pressure on c3. Now if White plays the intended d4, the c3 lever will be pinned. Ignoring the hanging e4 pawn. Taking the e-pawn would be problematic for black because it would open the e-file for the White Rook to pin and probably win back the pawn. By playing Ba3, White keeps the Black King stuck in the middle. Attacking f7, the wimpy pawn! White controls the e-file, attacking the uncastled King. Black had no choice. If 11…..Kd7, 12. Ne5+ Ke8, 13. Qb5+ c6, 14. Nxc6+ Kd7 … and Black’s Queen is lost. White sacrifices his Queen in order to pursue a relentless attack. A beautiful finish. Moral of the chess game: Castle! And if your opponent does not castle, look for weakness on f7 or f2.